The Muscular Dystrophy Association is pleased to announce the award of a clinical research network grant totaling $918,000 over three years to spur advances in myotonic dystrophy (DM) research. This investment, which provides continued support for the Myotonic Dystrophy Clinical Research Network, will support five medical centers that specialize in DM research and clinical care. Established in 2013 and supported by funding from MDA and other patient advocacy groups, the National Institutes of Health (NIH) and pharmaceutical company Biogen, the network’s goals are to gain a more detailed understanding of the DM disease process and to collect data needed for clinical trials in order to inform what outcome measures, biomarkers and endpoints will be most appropriate. MDA funds helped establish the network’s original five university sites, and the new grant award continues to fund these programs. MDA funds do not support the NIH site. Additional sites may be added in 2017. 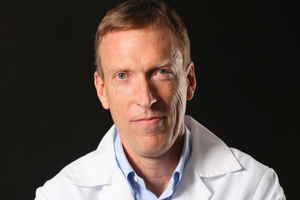 The network is led by Charles Thornton, professor of neurology at the University of Rochester, who serves as its overall director. The network was started, Thornton says, to pave the way for testing new treatments in people. “Experience has taught us that finding out whether a new drug is working or not is not a slam dunk. If we want to have clear answers, then we must work out many details and methods in advance. And we have to work closely with patients and families every step of the way. If it’s not a team effort, we probably won’t succeed,” Thornton says. All of the researchers in the network have free and unrestricted access to data generated at all of the sites. In addition, and to further support advances in DM research, the network is committed to making access to study results broadly available to both academic and industry researchers in the United States and around the world. Network researchers have already been responsible for much critical clinical research in DM in the U.S., and through combined efforts they have standardized equipment and procedures (for measuring myotonic and muscle strength, and for obtaining blood and biopsy samples) across all sites. The network investigators published a DM biomarker study in December 2013 that looked at RNA splicing in muscle biopsy tissue and identified a group of gene-splicing events that are affected even before there is evidence of muscle weakness. This collection of early changes in DM1 represents a tremendous opportunity for early/pre-symptomatic therapy intervention and is being used as a potential biomarker to determine whether a treatment was effective at targeting the root cause of the disease process. The five original network centers are currently completing a multicenter observational study of type 1 DM in 100 individuals with the disease, while a companion study, conducted by the NIH site, is following 25 additional participants. The goals of both trials are to prospectively assess walking speed, muscle strength, muscle size, myotonia, heart rhythm, mental efficiency (attention, memory and cognitive tests) and overall health over a one-year period to determine how the condition changes over time. MDA has funded more than $46 million in myotonic dystrophy research since 1950 and currently is funding nine active DM grants with a total funding commitment of more than $3 million.